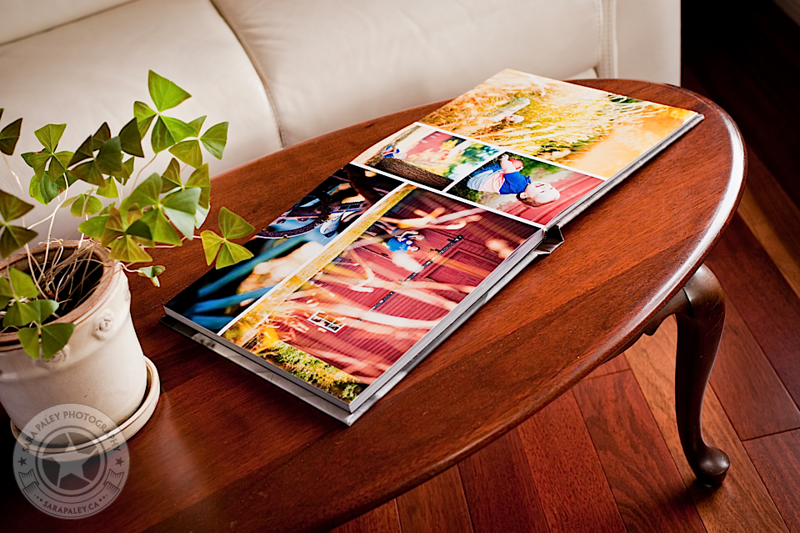 Fine art coffee table albums are meant do to just that – sit on your table at your fingertips to be easily shared with your family + loved ones. Sara Paley Photography offers beautifully made, heirloom quality albums that will last for years. Each album is custom designed with all of your favourite images from your portrait session. Faces are one of the first things that babies recognize. Young children always love looking at photos of themselves and pointing out family members. You can display your family's best images right in front of them and make them smile. It's amazing how little ones grow so quickly! We don't realize just how quickly they change when we see their faces every day in person. I can help capture an important moment and create a stunning piece of artwork you can hold in your hands. Soon enough you'll see that your little one is now suddenly a big kid, but you'll still have the precious memories on premium paper. Custom designed albums start at $385. Please email me for full pricing. At Sara Paley Photography, I like to support local businesses. All of my albums + printed products are made with love locally in Vancouver, BC.